Beautiful!!!! 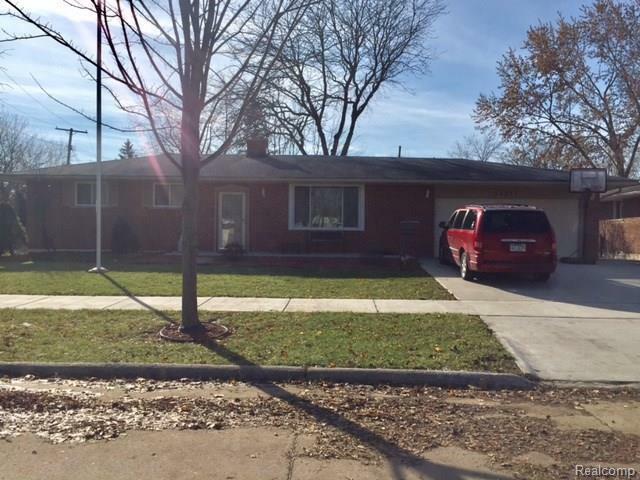 3 bedroom 2 full bath ranch home in the desirable Flat Rock community. If you like entertaining this back yard has it all*Fenced in yard*stamped concrete patio with built in fire-pit*beautiful pergola off the back door wall*attached patio*Concrete is all new*front porch*double driveway*8 ft walkway around the garage*behind the garage 4 ft pad*The home has hardwood flooring*eat-in-kitchen*remodeled bath*Very nice galley kitchen*Refrigerator,micro,dishwasher,trash-compacter all stay*finished basement with bedroom/full bath/and gorgeous family room with gas fire place.